Please read these terms and conditions carefully. By accessing this website you agree to be bound by the terms and conditions below. These terms and conditions are subject to change without notice, from time to time in our sole discretion. In these conditions “carrier” shall mean the business which is operated in the name of Xpress 2U Couriers which appears on the face of this document. The carrier is not a common carrier and will accept no liability as such. All goods or articles carried or other services performed shall be subject only to these conditions. Carrier reserves the right to accept or refuse carriage of any goods. The Consignor warrants that except as shown in any accompanying consignor’s certificate: the consignment does not contain any explosive, volatile spirits, or other cargo of a dangerous inflammable or offensive nature, or cargo the carriage which by carrier would be illegal or prohibited by any law or regulation of any State, Territory or the Commonwealth due to its nature, packaging or labelling. The Consignor hereby indemnifies carrier in respect of carrier’s liability for death, bodily injury, loss and/or damage occurring wholly or partially as the result of, or arising with this warranty. Carrier, its servants, agents and sub-contractors are entitled to the full benefit of these terms and conditions, and carrier shall be deemed to enter into this contract for its own benefit and also for the benefit of its servants, agents and sub- contractors. The Consignor hereby authorises carrier to arrange with a sub-contractor for the carriage of goods or articles the subject of this contract. Any such arrangement shall be deemed to be ratified by consignor upon delivery of goods or articles to sub-contractor. Goods or articles are at the risk of the consignor and not carrier, and carrier shall not be responsible in tort or contract or otherwise, for loss of or damage to or deterioration of goods or mis-delivery or failure to deliver or delay in delivery of goods or articles whether in transit or in storage, or of any reason whatsoever including without limiting the aforegoing, the negligence or wilful act or default of carrier or others. This clause shall apply to all loss damage deterioration or failure to deliver or delay in delivery whether or not it occurs in the course of performance by carrier, or in the events which are foreseeable by them or either of them, or in the events which would constitute a fundamental breach of contract, or a breach of fundamental term. The sender agrees that the goods described on the transport contract/agreement/consignment note are carried at its own risk and that Carrier and its Agents will not be responsible for any delay, loss or damage of any nature arising out of or incidental to the cartage of the goods due to any act or omission (whether willful or negligent or otherwise) on the part of Carrier and its Agents and indemnifies Carrier and its Agents in respect of any liability in respect of the goods. The sender authorises the Carrier and its Agents to deliver the goods to the receivers address appearing on the transport contract/agreement/consignment note. Carrier and its Agents will be deemed to have delivered the goods in accordance with the contract note if Carrier and its Agents obtain a receipt or signed delivery docket at the receivers address. If Carrier and its Agents are unable to deliver the goods to the receivers address, Carrier and its Agents will store the goods at the risk of the sender and the sender will pay all costs in relation to the non-delivery. It is agreed that the person delivering any goods to carrier for carriage is authorised to offer the goods for cartage and/ or sign the consignment note for the consignor. Despite any express or implied instructions, or agreement that carrier will use a particular route or method of carriage, handling or storage of goods or articles carrier will give priority to that route or method, but handling, storage or carriage is authorised by consignor by any methods or route. All goods or articles received by carrier for cartage forwarding or storage are accepted subject to the conditions that carrier will accept no responsibility for the collection of payments for cash on delivery goods on behalf of the consignor or any other person. When goods or articles are tendered by any person with instructions for carrier to collect such payments, carrier shall not be bound by such instructions notwithstanding that carrier its servants or agents or sub-contractors may accept the goods or articles as tendered and perform other services of cartage forwarding or storage in relation to those goods or articles. The Consignor hereby authorises carrier to issue a receipt on consignor’s behalf upon collection of such payments. Freight shall be considered earned whether the goods are delivered to the Consignee or not and whether damaged or otherwise. Under no circumstances will any payment for Carrier’s charges for carriage shall be payable by the Consignor without prejudice to Carrier’s rights against the Consignee or any such person, provided that when it is stated on the consignment note or docket that charges are payable by the Consignee or the goods consigned “COD” or “Freight Collect”, the Consignor shall not be required to pay such charges unless the Consignee fails to pay after a reasonable demand has been made by Carrier for the payment thereof. f on demand any person fails to pay charges due to carrier in respect of any service rendered by carrier, carrier may detain and sell all or any of the goods of such person which are in its possession and out of the moneys arising from the sale, retain charges so payable and all charges and expenses of the detention and sale and shall render surplus, if any, of the moneys arising from the sale and such of the goods as remain unsold to the person entitled thereto. Carrier may charge freight by weight, measurement, time, distance or value, and may at any time re-weigh or re-value or re-measure or require the goods to be re-weighed or re-valued or re-measured and charge proportional additional freight accordingly. A charge will be made by carrier in respect of any delay in excess of five (5) minutes in loading or unloading occurring other than from the delay of carrier, such permissible delay period commencing upon carrier reporting for loading and unloading, labour for which being the responsibility and at the expense of the Consignor of Consignee. No purported variation or modification of these conditions shall have any effect unless in writing signed by the carrier. Consignor warrants that he is not infringing any Act, law, regulation or ordinance of any State, Territory or Commonwealth in the sending of goods. These conditions shall be governed and construed by the law of Queensland wheresoever the contract was made and any proceedings in respect of any matter or thing against carrier shall be instituted or carried on in the State of Queensland only. Same Day/Flower 2U bookings must be booked in before 11.00am on the day of delivery. All bookings made after 13.30 Monday to Friday will be charged at the applicable X2U rate. All bookings made after 14.30 Monday to Friday will be charged at the applicable S2U rate. We offer several payment options: (a) 5 day credit account (b) Cash on pickup or delivery (c) Credit/Debit Card (American Express incurs a 1.5% surcharge). Claims arising from invoices must be made within two (2) working days from the date on the invoice. Prices are exclusive of GST and are subject to change without notice. This quotation/agreement/rate schedule does not include any surcharges or other charges which may be applied. Carrier will endeavor to supply the most suitable and professional personnel at all times. The Client recognises that the recruitment of such personnel involves considerable time, effort and expense. The Client agrees not to enter into any contractual arrangement directly with any Carrier employee or contractor, nor will they engage such personnel as employees or contractors of the Client whilst they are an employee or contractor of Carrier or within twelve months of ceasing to be an employee or contractor of Carrier. Accounts not paid within five (5) business days from the date on the invoice will be suspended until full payment is received. Payments not received fourteen (14) days after the invoice date will cause your account to be considered past due and a late payment and administration fee will be applied to your account, This charge will be twenty-five dollars($25). This contract is not intended to exclude the operation of any law, regulation, act or ordinance of The Commonwealth or any State or Territory which is not permitted to be excluded. 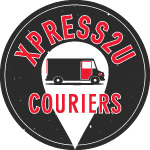 WE ARE NOT COMMON CARRIERS – Xpress 2U Couriers is not a common carrier and goods remain the responsibility of the consignor at all times. Goods carried are not covered by insurance. All transactions by Xpress 2U Couriers and/or their agents are subject to our standard terms and conditions of contract. Insurance is your responsibility and has not been arranged. A Duty of Care is exercised diligently with all goods consigned.